Women are an important component of Federal leadership, according to panelists at an OPM event on Tuesday. “In order for you to effect the change, be the change, be part of the government,” encouraged Alexis Smollok, Supervisory Air Marshal in Charge of the Federal Air Marshal Service at the Department of Homeland Security. Smollok joined four other women in major Federal leadership positions for a discussion titled “Federal Women Lead” and hosted by the Office of Personnel Management (OPM). 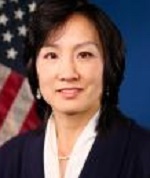 “Volunteer for the really hard projects that no one else wants to do,” said Michelle Lee, discussing the varied and sometimes challenging positions that led her to become the Under Secretary for Intellectual Property and Director of the United States Patent and Trademark Office. She chose to take unexpected career moves, working with Google when the company was just starting out and combining that with her patent law experience. Though gender diversity was the main topic of the event, the panelists encouraged women to embrace their own diversity of experience and that of others. “Remind yourself that you all bring different experiences to the table,” said Carmen Cantor, addressing the younger women looking to get into the Federal workforce. Smollok emphasized the importance of nurturing that diversity as a leader in both the government and private sector. “Surround yourself with people you trust and respect, but not like-minded,” she said. She and the other women agreed that their careers succeeded the most when they were challenged by a diverse team of people. “I always liked a healthy disagreement,” Lee joked. The panel discussed varying ways in which women could and should get involved in the government, but heavily focused on encouraging women to take on Senior Executive Service (SES) positions within government agencies. Outside the event, OPM handed out flyers, which detailed the requirements and path to becoming an SES, and speakers heavily encouraged attendees to consider that track in their career.